What do we know about Cromwell’s health? What caused his death in September 1658? We know very little about Cromwell’s health during his early life, before the 1640s. Such information as we do possess about this period in Cromwell’s life generally comes from accounts written much later, once he had become famous and infamous. These accounts are often clearly biased against Cromwell and their colourful stories – such as one that in early adulthood Cromwell had pestered his doctor in Huntingdon, repeatedly calling him out day and night to attend him as he lay ‘melancholy in his bed’, fearing death and suffering from strange dreams or visions that he would one day become the most powerful man in the kingdom – are best taken with a pinch of salt. However, there is contemporary evidence that in 1628, while he was in London serving as an MP, he consulted one of the greatest doctors of the day, Sir Theodore Mayerne. In his surviving notebook, Mayerne recorded a variety of symptoms, including coughing, excess phlegm and digestive problems, together with ‘valde melancholicus’. Other accounts of the young Cromwell suggest that he was prone to wearing a cloth around his neck, perhaps indicative of some sort of throat or chest problems. 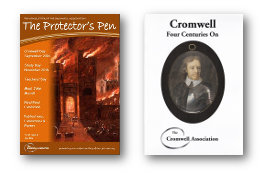 We know far more about Cromwell’s health during the 1640s and 1650s, drawn from his own letters and from other strictly contemporary accounts of those who saw and met him. Cromwell appears to have been in good health throughout the 1640s, travelling great distances and campaigning vigorously in England and Wales. He seems to have been fit and healthy and enjoying robust health at this time. Although some sources suggest that he sustained a neck wound at Marston Moor and had to leave the field for a time to get it dressed, we hear nothing of this in Cromwell’s own letters of summer 1644, and any wound must have been minor and healed completely – later portraits do not show obvious scars there or anywhere else on the visible parts of Cromwell’s body. Indeed, the only health problem which we know troubled Cromwell during the 1640s was his occasional suffering from boils and abscesses, including one particularly nasty attack early in 1647, which incapacitated him for a time. He continued to be troubled by ‘imposthumes’ from time to time during the 1650s. During the 1640s and the 1650s Cromwell was clearly troubled on occasion by the turn of events, deeply disappointed and disillusioned by military, political or religious developments, unsure what he should do or what God wanted him to do. At such times, Cromwell tended to draw into himself, to keep his own counsel and to ‘wait upon the Lord’. Conversely, there were times when he came across as a man of boundless energy, acting quickly, firmly and decisively, confident that he was doing the right thing. Later accounts sometimes suggest that he also became elated, on an emotional high, in the wake of major military victories, laughing excessively, his eyes sparkling, acting almost as if he was drunk. There is no doubt that Cromwell was an emotional man and that his emotions could swing quite dramatically and visibly between highs and lows, between an utter despondency from which God alone could save him to elation and euphoria when he believed that he was doing God’s will and that God had given him victory and success. In consequence, Cromwell has sometimes been described as a manic depressive, though that seems to be stretching the evidence and straining to make a case. For much of the 1640s and 1650s Cromwell was neither euphoric and manic nor gloomy and depressed, but instead was working steadily at his military, administrative and political tasks, tackling his workload in a perfectly balanced way. He does not come across as someone who could fairly be described in medical terms as mentally ill or emotionally disturbed. It is clear that Cromwell’s physical health declined significantly during the final decade of his life. The first sign of this, and perhaps the source of many later problems, occurred while he was campaigning in southern Ireland in October and November 1649, when he was laid low by some kind of fever – on recovering, Cromwell wrote that he had been ‘very sick’ and ‘crazy in my health’. Serious problems returned while he was on campaign in Scotland in 1650-51. In September 1650, after his great victory at Dunbar, he noted in a letter to his wife that ‘I assure thee, I grow an old man, and feel infirmities of age marvellously stealing upon me’. For most of the period February to early June 1651 Cromwell lay very seriously ill in Edinburgh with a recurrent fever and dysentery. A worried parliament dispatched doctors from London to attend him. Eventually he recovered, though he subsequently wrote that ‘I thought I should have died of this fit of sickness’, an illness ‘so violent that indeed my nature was not able to bear the weight thereof’. Although most subsequent attacks do not seem to have been so severe and protracted as this Scottish episode, from time to time during the closing years of his life Cromwell was laid low with bouts of fever, fits of ‘ague’ as they were called at the time. They do not appear to have caused any permanent impairment to Cromwell’s mental strength and vigour – in March 1658 he delivered a two hour speech to the Lord Mayor, aldermen and councillors of the City of London, as usual speaking largely extempore, and he responded vigorously to problems and events during spring and summer 1658. However, these recurrent bouts of fever-type illness, perhaps, some sources suggest, compounded in the 1650s by occasional trouble with kidney or bladder stones, certainly did take a physical toll. By 1655 the Venetian ambassador was noting that Cromwell was ‘pulled in appearance, with signs that his health is not stable and perfect’ and he noticed that when the Protector removed his hat as a sign of courtesy ‘the hand holding his hat trembled’. Many biographers have noted how Cromwell’s signature deteriorated dramatically during the last years of his life, from bold, firm, looping pen-stokes to the spidery and shaky effort indicative of a weak and tremulous hand. The sickness which eventually killed Cromwell probably began at the end of July 1658, when contemporary sources first noted that he was ill with what initially was believed to be merely gout but which, it was soon apparent, was something far more serious. From then until 3 September Cromwell suffered five bouts of illness, interspersed by brief interludes of apparent recovery. A variety of sources note that Cromwell was suffering from recurrent bouts of fever, sweating and ‘agues’, of hot and cold ‘fits’, which at least one observer explicitly likened to those which had laid him low in Edinburgh in 1651. He also suffered pain in his stomach, back and elsewhere about his body, was given to vomiting and diarrhoea and at one point was found to have an irregular pulse. The fifth and, as it turned out, final bout began on 2 September and death occurred at around 3pm on 3 September. His Body being opened; in the Animal parts, the Vessels of the Brain seemed to be overcharged; in the Vitals the Lungs a little inflamed; but in the Natural, the source of the distemper appeared; the Spleen, though sound to the Eye, being within filled with matter like to the Lees of Oyl. So what killed Cromwell? Having poured over accounts of his final illness of summer 1658, having examined his earlier medical record, and having either given credence to or dismissed as hopelessly unreliable Bate’s account of the very primitive autopsy, most biographers and historians have concluded that during the 1650s Cromwell suffered from a recurrent, malarial-type disease and that this was the principal or sole cause of his final illness and death in 1658. In the seventeenth century, a form of malaria was quite common in damp, lowland areas of northern Europe, including parts of Britain and Ireland; for example, it was present in the fenlands of East Anglia. This was a milder form of malaria than that still found in many hotter, tropical or sub-tropical parts of the world, and it did not cause death on such a large scale, though it could and did carry off the old and the weak. It was noted at the time that many of the troops sent over to reconquer Ireland from 1649 onwards succumbed to the ‘country sickness’ or the ‘ague’, a recurrent fever-based illness. Most biographers and historians have concluded that Cromwell was one of them, and that his illness of late 1649 while in Ireland marked the onset of the disease. Although he had just turned fifty and so was probably past his physical prime, he was then still strong and robust and so threw off this first visitation quite easily. Subsequent visitations, together with other afflictions during the 1650s – dysentery was reportedly present during his long illness in Edinburgh in 1651, boils and abscesses continued to cause trouble, and intermittent problems with kidney or bladder stones are indicated by some accounts – and the general decline caused by advancing years noted by the Venetian ambassador and others rendered Cromwell less able to throw off attacks as quickly or as easily and made him more vulnerable. Having fought a clearly sharp and vigorous attack for over a month during summer 1658, his fifty-nine year old body could continue the struggle no longer and the fifth bout of fever in early September quickly killed him. Malarial fever is the most likely and the most widely accepted explanation for Cromwell’s death. However, not all historians have been or are entirely satisfied by this explanation. A number of authors, from the French mathematician and philosopher Blaise Pascal writing shortly after Cromwell’s death to Dr C H Davidson in a paper first published in The Proceedings of the Royal College of Physicians of Edinburgh in 1988 (and reprinted in Cromwelliana in 1993), have suggested that Cromwell’s death may have resulted from kidney or bladder stones, which caused a blockage of the urinary tract and associated internal damage or infection which resulted in septacaemia. Although Cromwell reportedly suffered intermittent abdominal pain during his last weeks, the surviving accounts of his symptoms during his final illness do not strongly indicate problems with kidney or bladder stones. A letter of 31 August, giving an account of Cromwell’s symptoms at that time, noted that ‘his water [was] good all this day’, again contradicting suggestions that kidney or bladder stones were present or were major factors in the final stages of the fatal illness. Even more dramatically, in a full-length study published in 2000, an American academic, Professor H F McMains, argued that Cromwell was deliberately poisoned during summer 1658, initially with antimony, then during much of August with mercury, and then, when those failed to kill the intended victim, finished off with a massive dose of arsenic administered on 2 September. Professor McMains highlights some of the symptoms noted by obervers in summer 1658 (especially gastro-intestinal problems and the severe abdominal pains from which Cromwell intermittently suffered towards the end), the interludes of recovery and reasonable health which Cromwell enjoyed between the five bouts of illness, the speed with which the fifth and final bout took hold, leading to an unexpectedly quick death, the (deliberately?) vague and inconclusive nature of Bate’s autopsy report, together with vague or strange passages in some contemporary accounts and inconsistencies between them. He concludes that the evidence points, not to death from malaria or other natural causes (though he concedes malaria may have been present near the end), but to a deliberate, well-planned and ultimately successful plot to murder Cromwell by poisoning him. He suggests that Cromwell was poisoned by Bate, assisted by Thomas Clarges and the future bishops of London and Worcester. 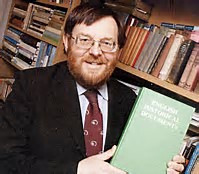 Most reviewers were not convinced by Professor McMains’s arguments, noting that they involved stretching and moulding often weak and insecure evidence and that they rested upon a great deal of unproven speculation. It is not inconceivable that Cromwell was poisoned – many wanted him dead, there were some rumours at the time, and other historians have sniffed around the poisoning possibility – but less dramatic and more plausible alternatives are available. By 1658 Cromwell was aged, weak and in declining health, since 1649 he had endured several bouts of recurrent fever, and many of the accounts of summer 1658 indicate that he was suffering from a return of this malarial-type recurrent fever or even explicitly link this attack with earlier visitations. Accordingly, most historians believe that Cromwell died from natural causes, killed by a particularly severe visitation of the malarial-type recurrent fever to which he had been prone since 1649.